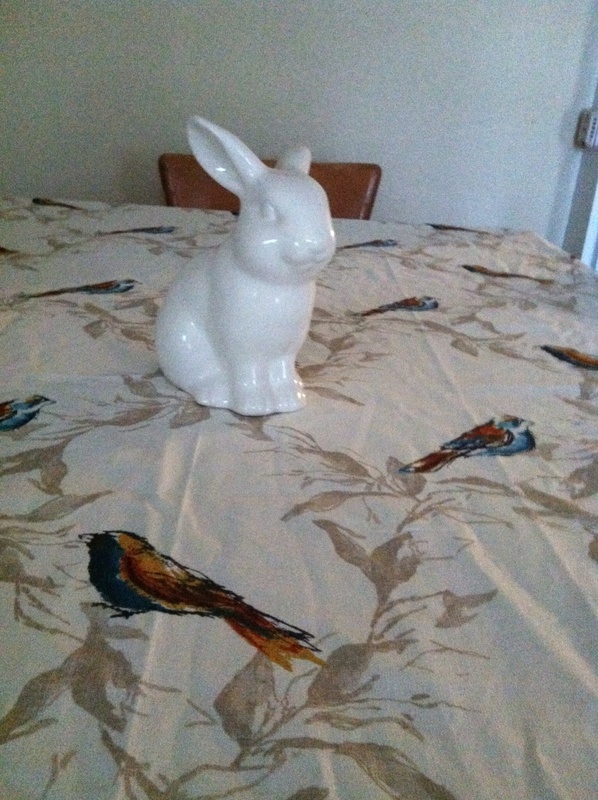 I had gone to Target on line to find this great spring tablecloth. I just love the birds. I was going to make curtains out of this but the dimensions are just a little off. 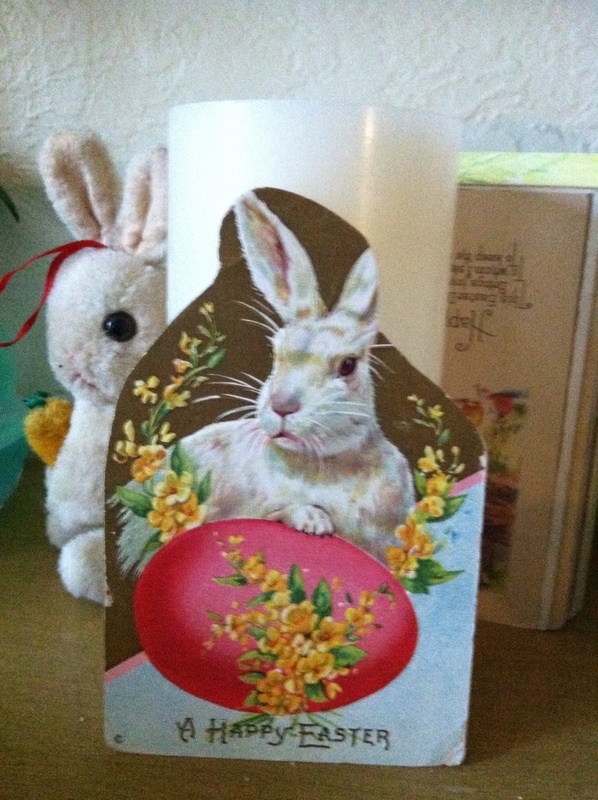 So, I put it on the table with a new bunny. 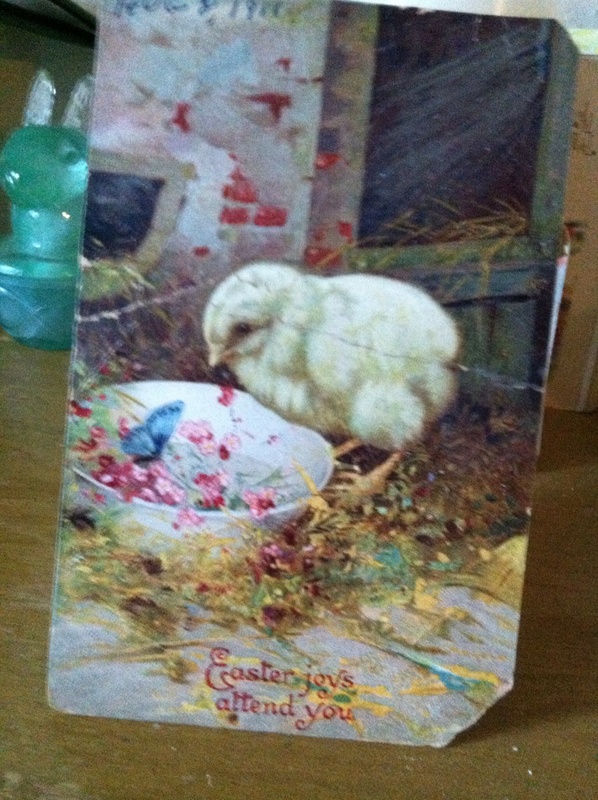 I rarely buy any thing like this anymore, but I am a sucker for Easter stuff. My sinuses are really bothering me today, and I hope I’m not getting a cold. I feel kinda off. I’m taking extra vitamins and my Chinese herb combination which always seems to ward things off. Next week we are off to the coast for our first camping trip. The weather looks great. Since there’s probably no wi fi , I won’t be blogging but I maybe able to find a signal. Another vintage post card.